Scalesia is a genus of 15 species of shrubs and trees endemic to Galapagos. Some of these species are widely distributed whereas others are only found on specific Islands. Scalesia are mostly shrubs which grow within the arid and transition zones. However there are three tree species which form dense forests in the humid highlands. 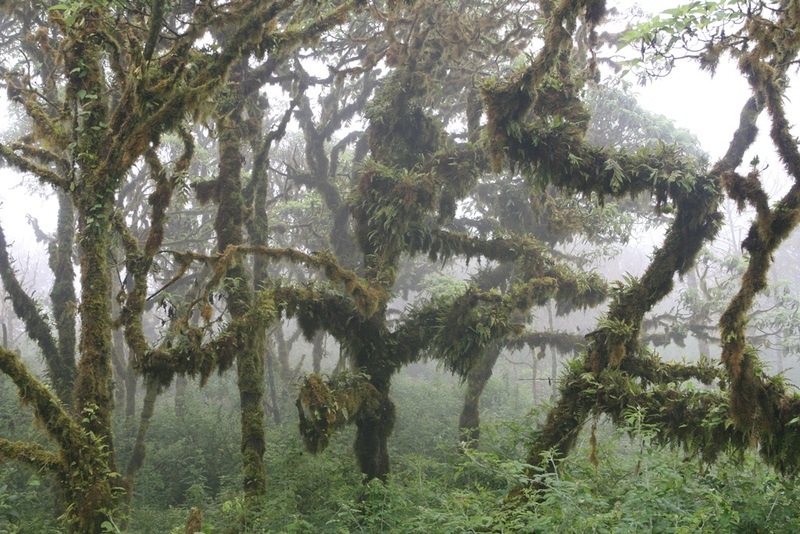 These forests are unique to Galapagos and form the Scalesia habitat zone. The Daisy Tree is the largest, reaching up to 15 metres in height. Trees of the same species and same age grow in patches of forest, living until they are about 25 years old. During some stressful events, such as drought or extreme rainfall, all the trees within a forest can die at the same time, known as a mass dieback.. Shortly after this happens seedlings start germinating in the space that was previously occupied. These forests are home to spectacular Galapagos wildlife including the iconic Galapagos giant tortoise and many species of birds such as the Galapagos dove, Darwin’s finches and flycatchers. However these forests are under intense threat from invasive species and deforestation. Today, only a few scattered patches of forest remain while the rest have been destroyed. Rapid deforestation occurred on all the islands in the early 20th century as a result of demand for wood and land for agriculture. On Santiago, an uninhabited island, the destruction of Scalesia forests was caused by the introduction of goats. Only now that the goats have been eradicated has the vegetation on the island started to recover. However recovery is slow and regeneration of Scalesia forests are being threatened by invasive plants. Invasive plants are a major threat to all the Scalesia forests as they are out competed by introduced species such as Guava and Hill Raspberry. Trying to manage and restore areas of native forest is a difficult task as invasive species are fast growing and have large seed banks meaning they regenerate quickly. The conservation of this unique forest is vital to the Galapagos Islands and their wildlife. 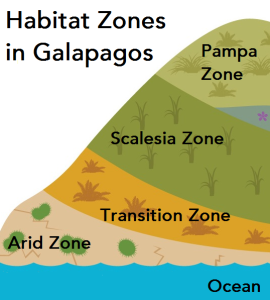 Learn more about the wildlife of Galapagos and their habitats in our Life on the Islands chapter. Categories: Wildlife of Galapagos | Tags: conservation, habitats, Scalesia, wildlife of Galapagos.